O-H...I-O....Ohio...Ohio...Ohio! I have lived all my life in Ohio. 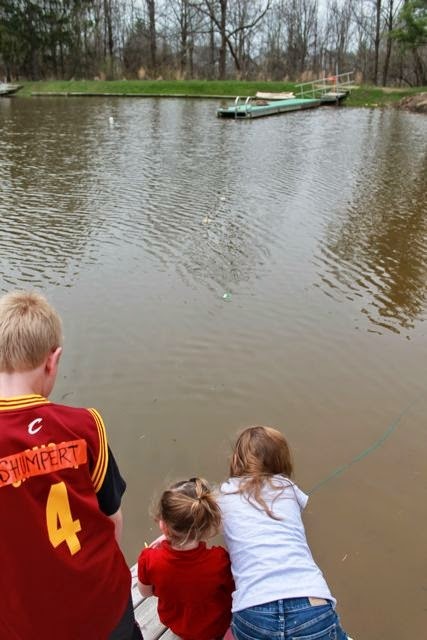 The winters are tough, but there are so many cool things about living in our state; great amusement parks (Cedar Point, Kings Island), fishing and boating on Lake Erie, hiking in the Cuyahoga Valley National Park, and the Mazza Museum Summer Conference. As an Ohioan, I can even brag about all the famous Americans that have called Ohio their home including Thomas Edison, Neil Armstrong, and eight U.S. presidents! 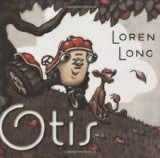 Also, I am proud of the many famous children's author and illustrators from Ohio including Loren Long! So, for this week, in honor of Loren's birthday, I am asking the Ohio State Buckeye fans to allow me to change the famous OH-IO cheer to O-T...I-S...Otis...Otis...Otis! Loren Long is the illustrator of over 15 picture books including Otis, Nightsong by Ari Berk, Mr. Peabody's Apples by Madonna, and Angela and the Baby Jesus by Frank McCourt. At the Mazza Museum Summer Conference 2014, Loren Long opened his talk by saying, "Nobody in my family was an artist." However, his mother and father were always supportive of his love of drawing. "My mom would frame many of my drawings, and that's important. A lot of mothers are worried about matching decor and keeping everything neat and tidy, but my mom didn't care. She'd put my stuff on up on the wall because she was proud." (Mackin). Later, after struggling to settle on a major in college and only really enjoying his art classes, Loren said to his father, "Dad, I think I want to become an illustrator." His father replied, "Well, son I have worked in gypsum supply for 20 years and not one day have I been passionate about drywall. So, if you can, do something you are passionate about." (Mazza Museum Keynote). At that time, Loren Long didn't know how he was going to make a living doing what he was passionate about, but if you read on you will learn that he definitely figured it out! I hope you are lucky enough to someday meet Loren Long. You will notice right away his passion for children's books. After attending art school at The American Academy of Art in Chicago, it took over 12 years for Loren to become a children's book illustrator. He worked for Gibson Greetings (now a part of American Greetings) and also illustrated for many magazines; Sports Illustrated, Time, Reader's Digest, Forbes. His "americana style" influenced by American Regionalist painters like Thomas Hart Benton was catching people's attention and led to a few illustration jobs doing covers for novels. Then, in 2003 he illustrated his first picture book, I Dream of Trains by Angela Johnson which received the Golden Kite Award for illustration. In 2005, Loren Long illustrated The Little Engine That Could by Watty Piper. "The Little Engine That Could marked a new direction for me, from the standpoint that this was the first book where I was obviously digging into a tried and true classic. 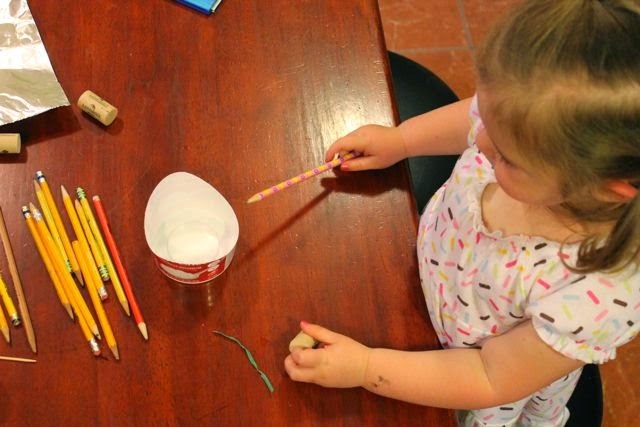 I began thinking about creating books that might someday become a child's favorite, become classics." (Publisher's Weekly). 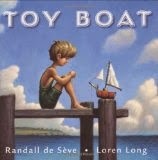 Next, he published a few more picture books including Toy Boat by Randall de Sève and started working with Jon Sciezska, David Shannon, and David Gordon on the Trucktown project which produced numerous book titles and is now a TV Show. In 2008, he wrote and illustrated Drummer Boy which became a favorite of President Barack Obama and his family and later led to Loren being selected to illustrate Of Thee I Sing: A Letter to My Daughters. (2010). "Doing the art for Of Thee I Sing was an honor and something I'll always be proud of. President Obama invited my two sons and me to visit him at the The White House." (SCBWI). Loren Long's two sons not only got to meet President Obama but they were involved with the initial idea for Otis. "Actually, Otis started as a story my wife and sons made up as she took them to school when they were preschoolers. It was a homespun story that was more convoluted and took a totally different direction than my book. Now [my sons] tease me a bit and say I took their story, tweaked it, and called it my own. 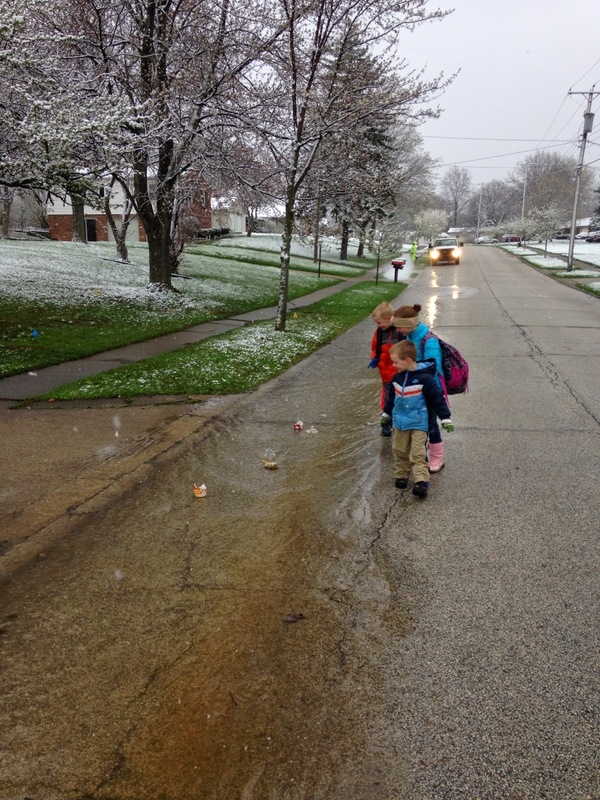 But, then I reminded [them] that it's good to be able to buy groceries and soccer cleats." (Publisher's Weekly). In their story, the tractor's name was Little Green Samuel. Loren came up with the name Otis from the The Andy Griffith Show. (Mazza Keynote). The Otis series has now sold over 2 million copies and the latest book in the series is Otis and the Scarecrow which was released August 2014. (Cincinnati.com). Last summer at the Mazza Museum Summer Conference when I heard Loren Long speak I was inspired. 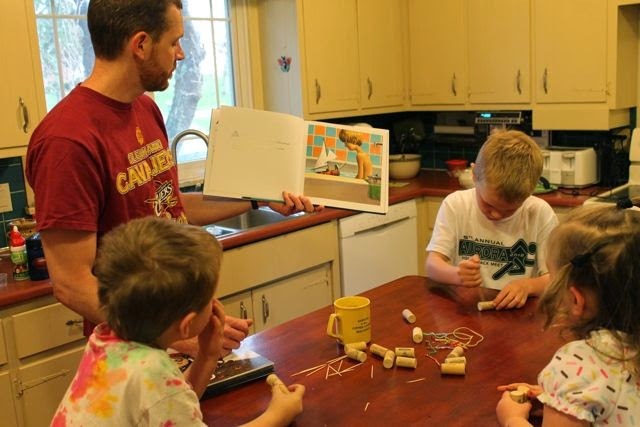 I loved how he talked about being a father, creating emotional picture books, and feeling a responsibility to produce quality books for children. I had numerous books that I wanted Loren to autograph for my family, but after his keynote I found myself walking to the Mazza Museum bookstore to pick out another book! I found Toy Boat. 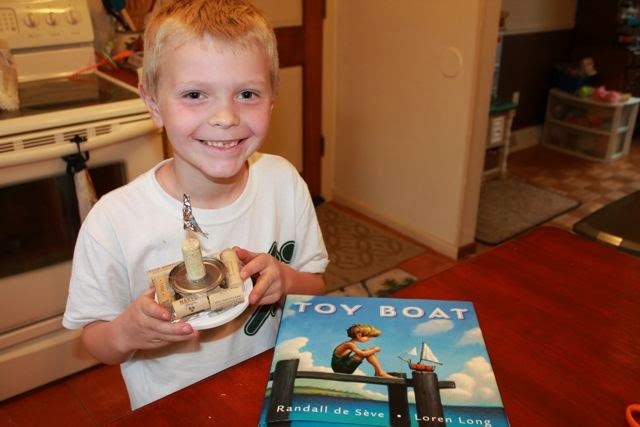 It was a book that I knew my children would love, because we had often made toy boats to sail down our street when our fire hydrants are flushed by our local water department each spring. 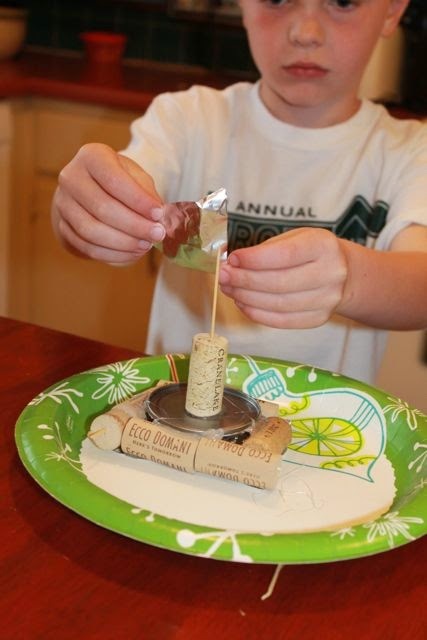 Toy Boat is about a little boy and his toy boat that is made of a can, a cork, a yellow pencil, and some white cloth. The little boy loved his toy boat and would sail it at the lake every day. The toy boat loved sailing with the boy but often wondered what it would be like to break free from the boy's string to sail free. 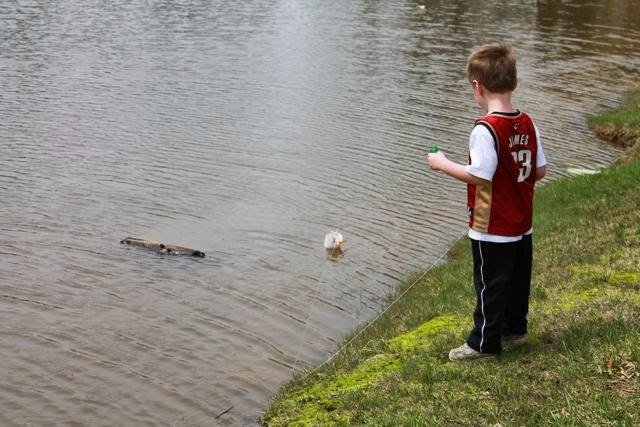 One day, the boy dropped the string attached to the toy boat when a storm was approaching. 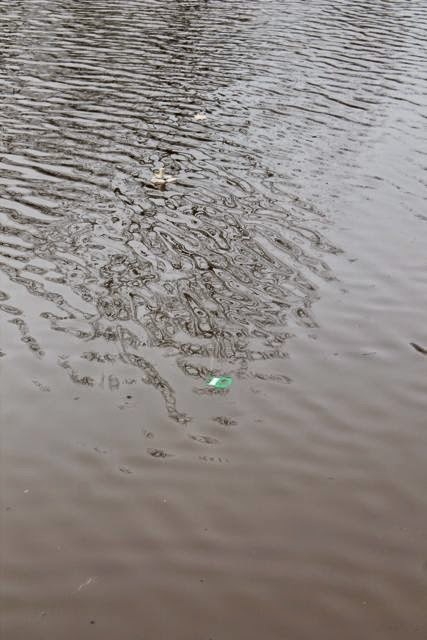 The toy boat quickly was pushed far away from the shore. When the skies cleared the toy boat was pushed, knocked around, and told to "Move along!" by the other boats it encountered. The toy boat missed the little boy but would need to find a way to right its sail to catch the wind to get back to the shore. 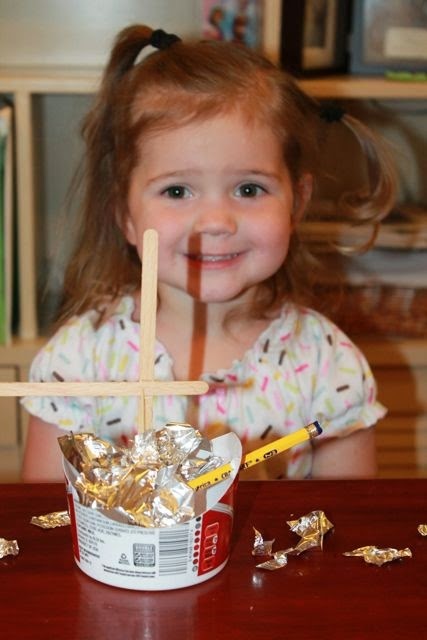 We read Toy Boat on Sunday morning before church. 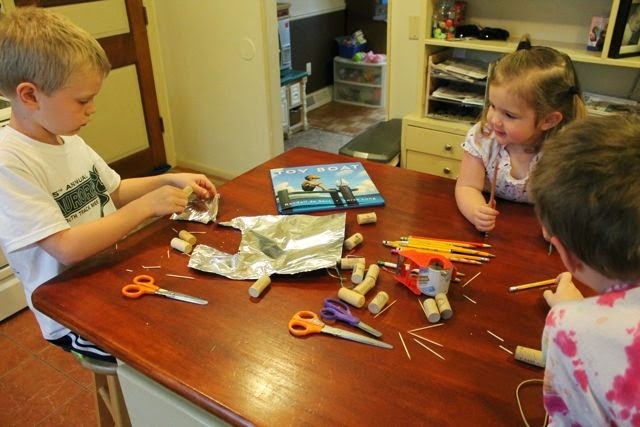 My children were eager to build their boats using corks and pencils. 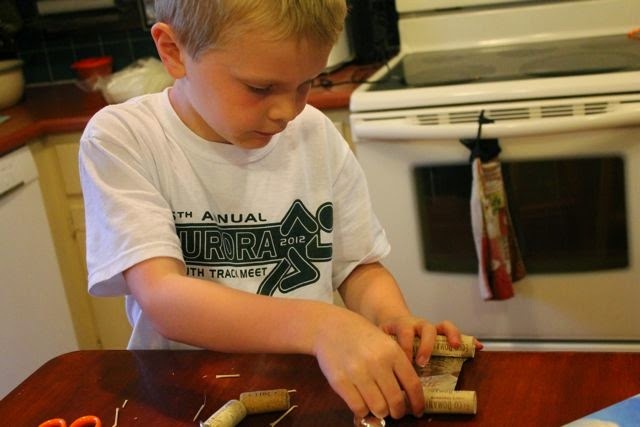 My oldest son quickly came up with a design for his toy boat. 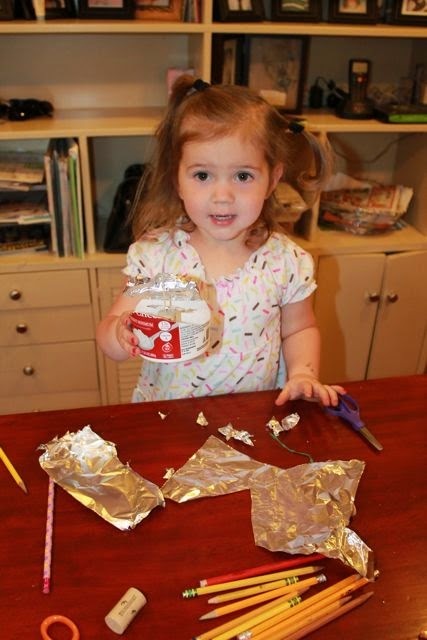 I cut a plastic container in the shape of a boat for my daughter to allow her to begin designing her toy boat. My youngest son added a smiley face to his cork. 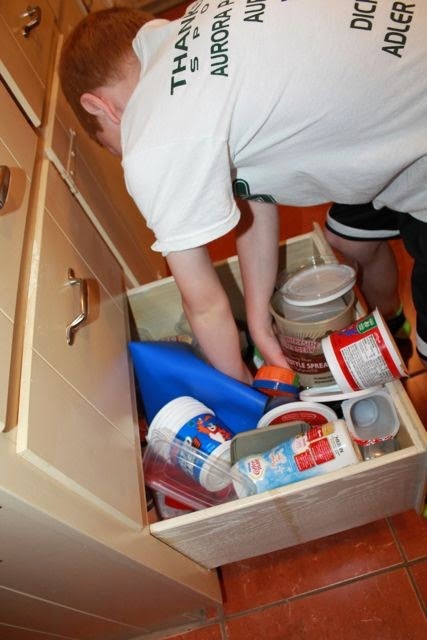 Every creative family needs a drawer full of plastic containers and lids. 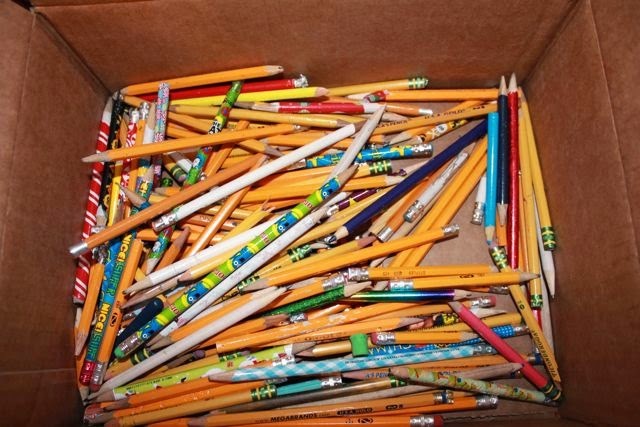 A box of old pencils from my wife's school came in handy for this project too. 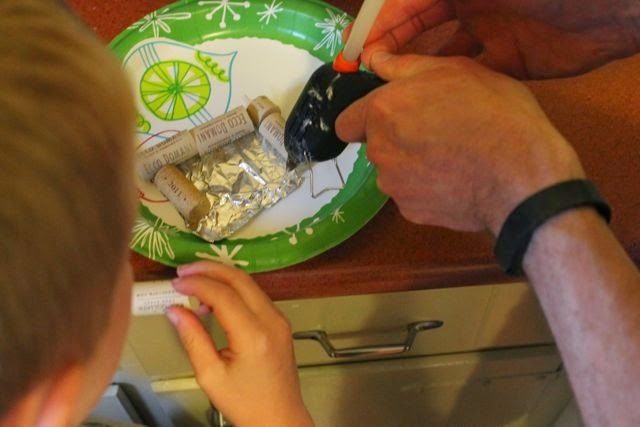 He carefully added a foil sail to his toy boat. He was quite pleased with his toy boat. "Hey, Dad! Take a picture of my boat." 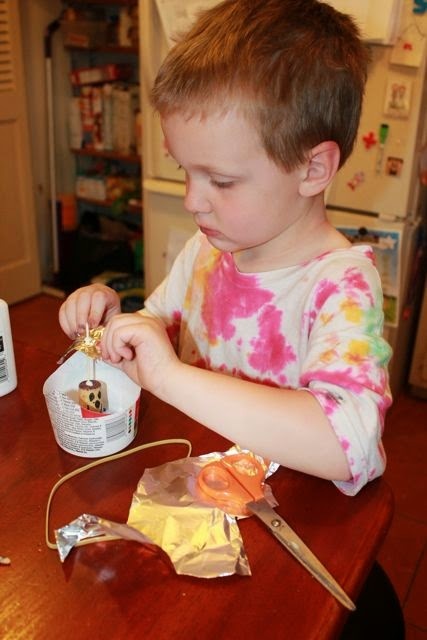 Another toy boat is ready to sail! Please Pin to Pinterest! Follow Happy Birthday Author too! 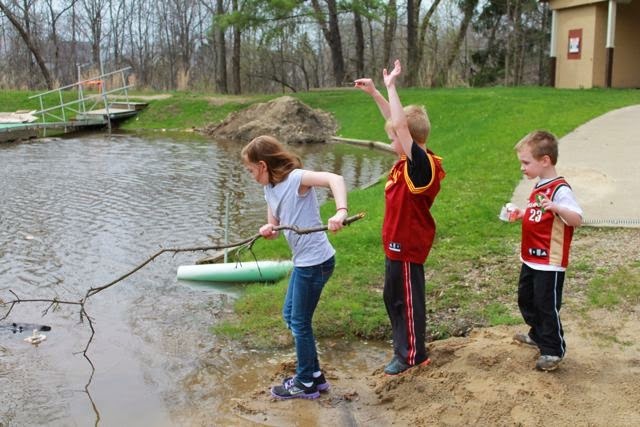 After church we went to our neighborhood lake to sail our toy boats. 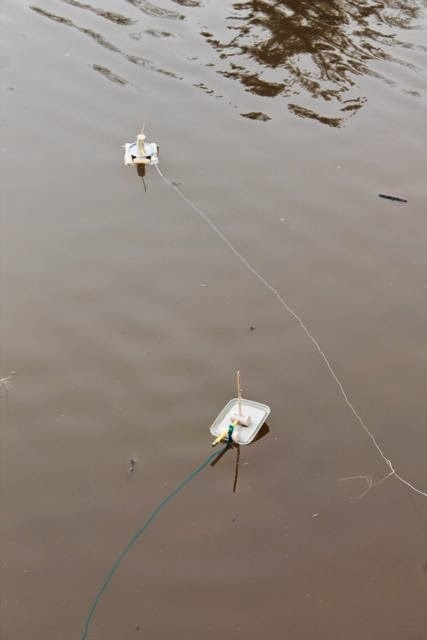 I attached a kite string or yarn to each boat. There was good breeze but it was blowing slightly back to shore. 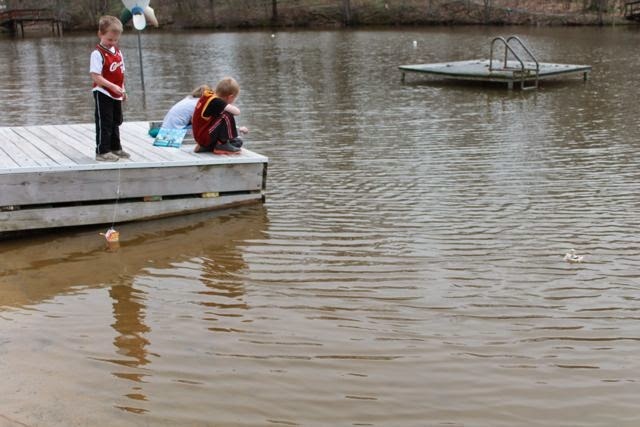 They decided that the floating dock was the best place to sail their boats. 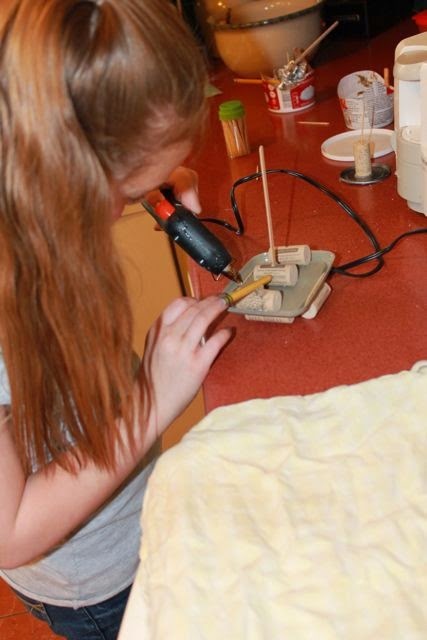 My oldest daughter joined in by using the toy boat that I made. She said, "You did it again, Dad. You came up with another author birthday celebration that I like." 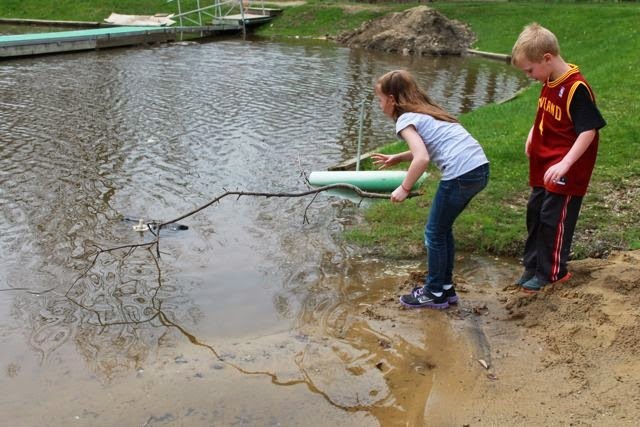 The toy boats floated pretty well. 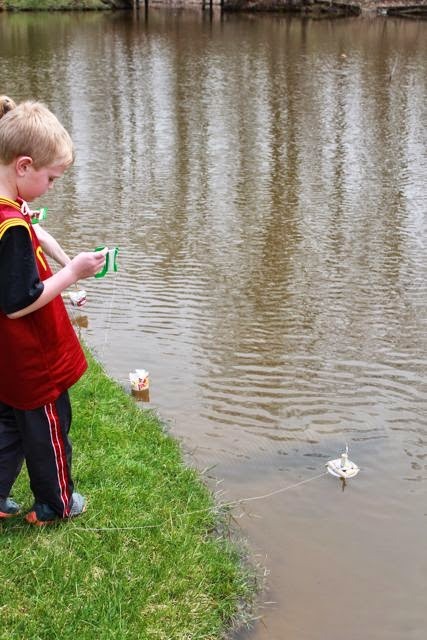 After a little patience, the breeze carried our toy boats far from the dock. I turned away for a second and my oldest son yelled, "Oh, no! 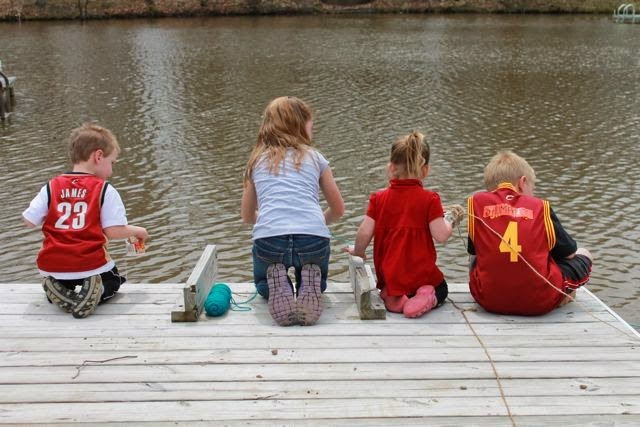 My string is in the water." We waited for the wind to carry the boat close to the shore and my daughter snagged it with a stick. 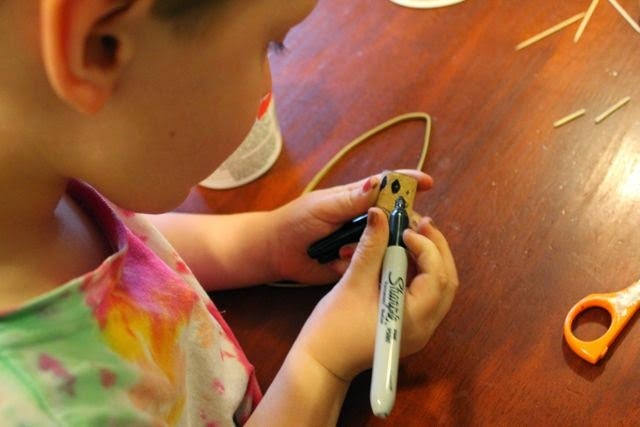 Back at home my daughter made repairs and adjustments to all the boats. Now they will be ready for the fire hydrant flushing that has started around the city. 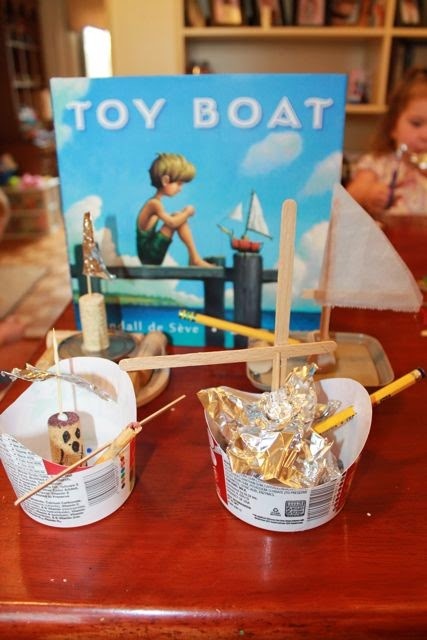 We will be using our toy boats from this reading experience for this year's travels down our street. 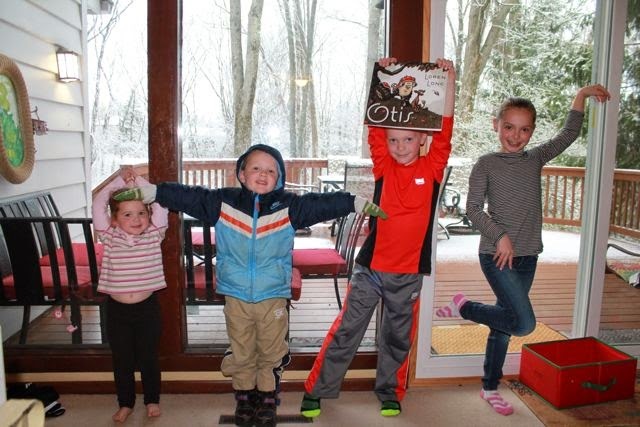 Yesterday morning, after our O-T-I-S picture, my children were waiting for me to take them to the bus stop, when I hear, "THEY ARE FLUSHING!!" We rushed to find our toy boats before we missed the hydrant flushing right in front of our house. 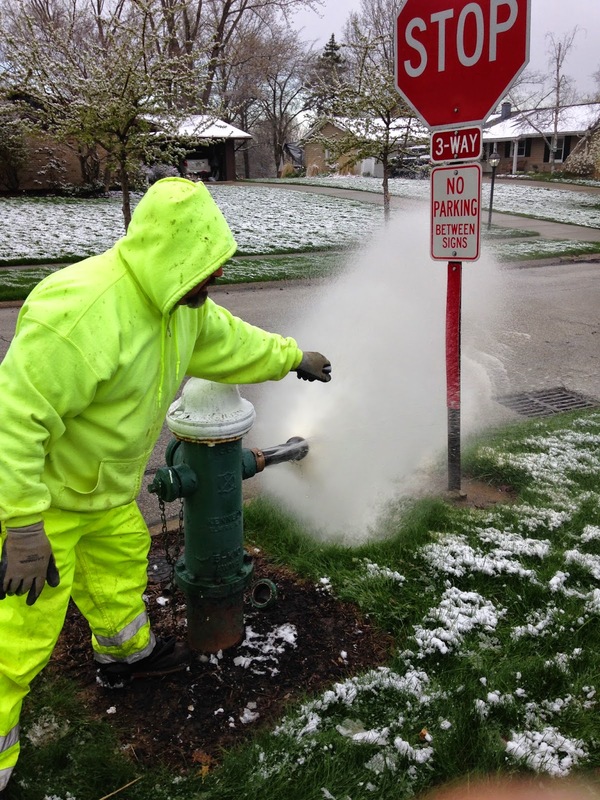 The Water Department worker said as he walked up to the hydrant, "I have never flushed hydrants with snow on the ground before." And before he left he said, "120 more and I'll call it a day!" Loren, we hope you have a wonderful birthday with your family and friends. Thank you for creating such beautiful picture books for us to read and enjoy together! OH-IO! OT-IS!